A memorable evening for an engagement ceremony was created by Momentum Group at NSCI stadium in Mumbai wherein the space reflected opulence and grandeur. Acclaimed for their unique and innovative design this multiple award winning company had the guests awe struck upon their arrival to the engagement ceremony. 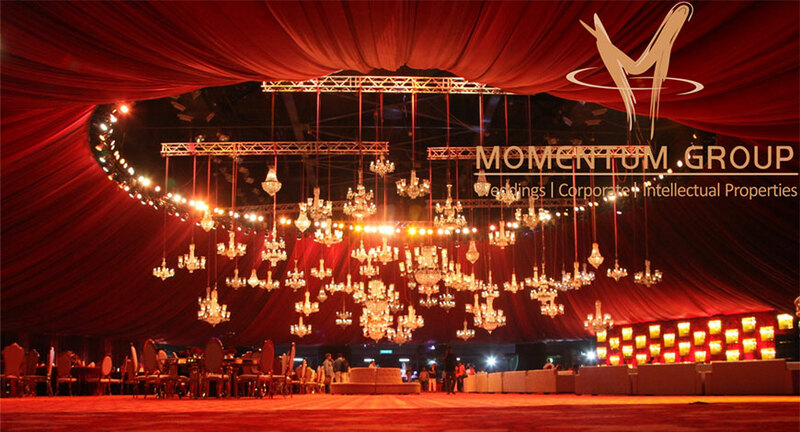 Momentum’s creative minds took inspiration from the royal era and brought it back to life at the arena with hues of burgundy and hundreds of chandeliers. Exotic florals highlighted with programmed lighting worked together in perfect charm to create a whimsical world for the couple to take their first steps into their marraige. The ambience, as commented by the “guests” looked like a regal Sanjay Leela Bhansali set. On entering the venue, the guests were enveloped in a welcoming aura that set the mood. Crème-de-la-crème of Maximum City like Niranjan Hiranandani, Bhagyashree, Shailesh Lodha, Akhil Chaturvedi, Nisha Jamvwal and many others were seen at the do. Flamboyance was the central theme. Delicacies were put together by a variety of catering companies and had guests savouring the lavish spread. 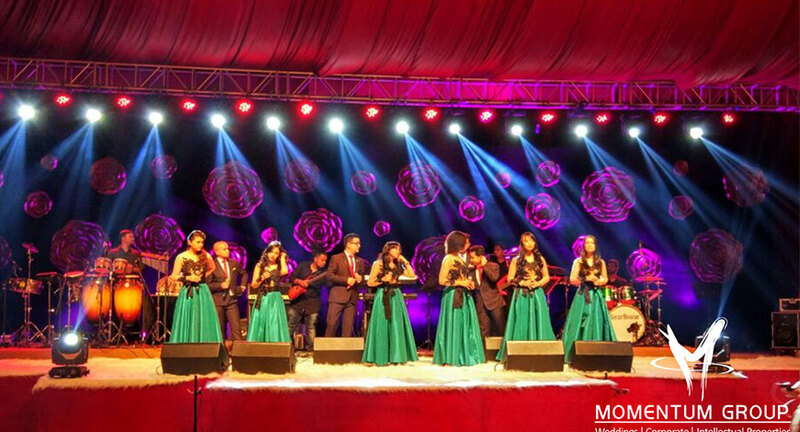 A performance by the 16 piece band Shillong Chamber Choir, winner of India’s got Talent, elevated the experience created by Momentum. Guests spent rest of their evening dancing away to the beats of international artist - DJ Maltec, Dj AJ and MTV VJ Clince Varghese.